Erik Karlsson could have skated away a happy man after a 20-goal, 74-point season in 2013-14. But, he didn’t. An Achilles injury had grounded Ottawa’s award-winning defenceman for a majority of the 2012-13 campaign, limiting him to just 17 regular season games, and creating a huge void on the Senators blueline. Anyone wondering if Karlsson, winner of the 2012 James Norris Trophy, would be able to return to his elite level of play, got their answer in the form of a nearly point-per game season. Yet, despite the lofty offensive numbers, Karlsson felt unfulfilled. Karlsson will no doubt be leaned on heavily, both as an offensive catalyst and as leader, for a Senators team whose lineup has changed dramatically in recent times, including the departures of Daniel Alfredsson, Jason Spezza, Peter Regin and Jakob Silfverberg. 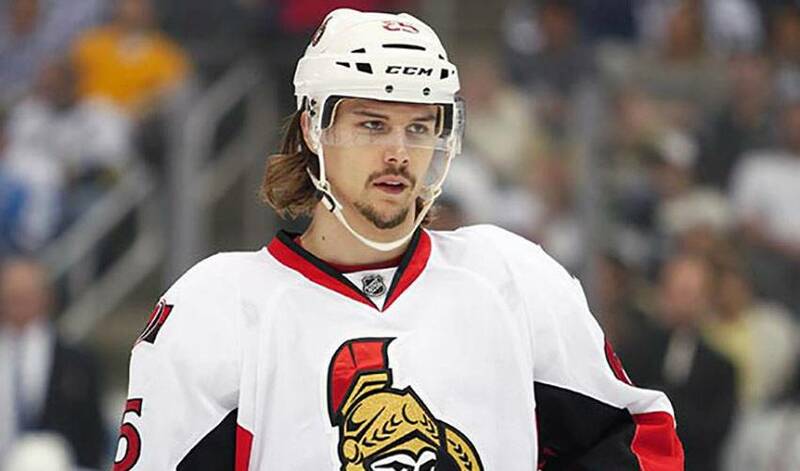 Despite the challenges, Karlsson remains optimistic about Ottawa’s fortunes ahead of the 2014-15 campaign. It was a busy, but memorable summer for the native of Landsbro, Sweden. “I was lucky enough to get some time to do a bit of travelling,” said Karlsson, who was also one of many players who took the ALS Ice Bucket Challenge. Karlsson also hit the links with PGA golfer and Brad Fritsch, who helped him improve one area of his golf game. Karlsson’s hoping he won’t have to use his newfound skills any time soon. And when he takes to social media during the NHL season, No. 65, who has 149,000 Twitter followers, wants to make sure he has plenty of happy hockey news to share with them. In this week's Player Q&A, we learn where Erik Karlsson would take his now fiancée - and based on his marriage proposal, you know what they'd be eating.